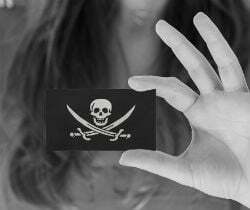 A federal court in Florida has signed a default judgment against more than two dozen relatively small pirate sites. The order grants media conglomerate ABS-CBN ownership of the associated domain names. In addition, it can keep the sites' previously seized advertising revenue from networks including Google Adsense and MGID. For several decades the MPAA and RIAA have been the prime anti-piracy groups in the United States. While that may be true, there’s another player making a massive impact, while getting barely any press. ABS-CBN, the largest media and entertainment company in the Philippines, has filed a series of lawsuits against pirate sites in the US, with the popular streaming portal Fmovies as the biggest target. We previously covered how ABS-CBN managed to get court orders to seize domain names, without the defendants getting actively involved. This is also the case in a recent lawsuit where a Florida federal court signed a broad injunction targeting more than two dozen sites that offered the company’s content. The websites, including abscbn-teleserye.com, dramascools.com, tvnijuan.org, pinoydailyshows.com and weeklywarning.org, may not be known to a broad audience but their domain names have all been suspended, linking to a takedown message instead. What’s most interesting, however, is that the advertising revenues of these sites were previously frozen. This was done to ensure that ABS-CBN would at least get some money if the defendants failed to respond, a strategy that seems to have paid off. After the targeted site owners failed to respond, ABS-CBN requested a default judgment with damages for trademark and copyright infringement. U.S. District Court Judge Cecilia Altonaga has now signed the order, awarding the media company over a million dollars in statutory trademark infringement damages. In addition, several of the sites must also pay copyright infringement damages. The default judgment also orders associated registrars and registries to hand over the domain names to ABS-CBN. Thus far several domains have been seized already, but some foreign companies have not complied, most likely because they fall outside the US jurisdiction. The most interesting part of the order, however, is that Judge Altonaga grants ABS-CBN the previously seized advertising revenues. “All funds currently restrained by the advertising services, networks, and/or platforms […], pursuant to the temporary restraining order and preliminary injunction in this action are to be immediately (within five business days) transferred to Plaintiffs in partial satisfaction of the monetary judgment entered herein against each Defendant,” the Judge writes. 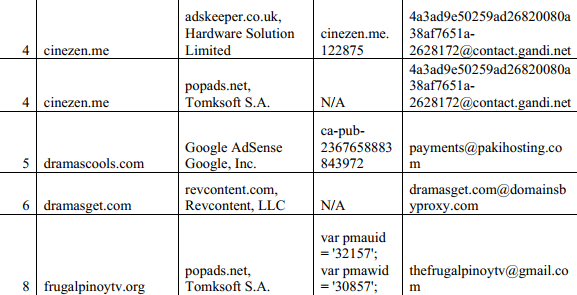 The sites in question used advertising services from a variety of well-known networks, including Google Adsense, MGID, Popads, AdsKeeper, and Bidvertiser. None of these companies responded in court after the initial seizure order, suggesting that they did not object. This is the first time, to our knowledge, that a copyright holder has been granted advertising revenue from pirate sites in this manner. While it’s not known how much revenue the sites were making, there is bound to be some. This could be a common legal tactic going forward because, generally speaking, it is very hard to get money from defaulting defendants who are relatively anonymous, or living in a foreign jurisdiction. By going after the advertisers, copyright holders have a good chance of securing some money, at least. A copy of the default judgment is available here (pdf) and all affected websites are listed below.